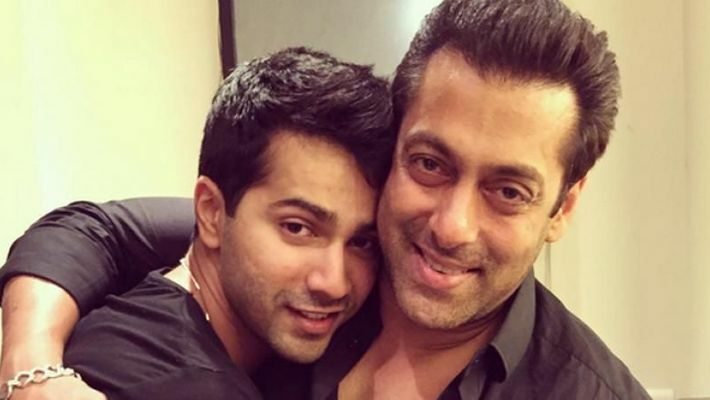 Kalank star Varun Dhawan shared the secret to his good skin courtesy a beauty hack shared by none other than Salman Khan. Mumbai: Actor Varun Dhawan is well-known for his killer dance moves and even more for his super-charged actions sequences. Now, the Kalank star managed to draw the attention of his fans towards his glowing skin too. Accompanied by Kalank cast Alia Bhatt, Sonakshi Sinha and Aditya Roy Kapur, the team recently attended The Kapil Sharma Show 2. During the show, the host, Kapil Sharma asked the Kalank team the secret behind their good skin. While Alia revealed that her healthy diet with green vegetables helps her get good skin, Varun shocked everyone with his answer. Dhawan said that the secret to his glowing skin is actor Salman Khan. Yes, the Bhai of Bollywood. Are you surprised? Well, Khan, himself seems ageless and turns out he has been doling out his beauty hacks to his protégé Varun too. According to a DNA report, Dhawan revealed that he uses aloe vera gel on his skin since Khan suggested he do so. The Judwaa 2 star also shared the incident when Salman was tending to an aloe vera plant and he asked him for a tip to look fresh always. Answering him, Khan gave him the plant to use aloe vera gel daily. A source close to the daily said, "Varun told Kapil that Salman gave him the plant and asked him to use the gel daily to get healthy glowing skin." The 53-year-old Bharat star has been mentoring Varun before his Bollywood debut. Khan even made a special appearance in Dhawan's Judwaa 2 and now the young actor is set to do the same with a special appearance in Bharat which releases on Eid this year.